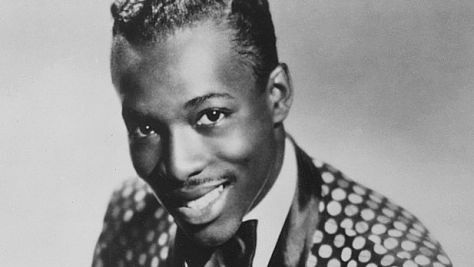 Of the major '60s soul stars, Wilson Pickett was one of the roughest and sweatiest, working up some of the decade's hottest dancefloor grooves on hits like "In the Midnight Hour," "Land of 1000 Dances," "Mustang Sally," and "Funky Broadway." Although he tends to be held in somewhat lower esteem than more versatile talents like Otis Redding and Aretha Franklin, he is often a preferred alternative of fans who like their soul on the rawer side. He also did a good deal to establish the sound of Southern Soul with his early hits, which were often written and recorded with the cream of the session musicians in Memphis and Muscle Shoals. 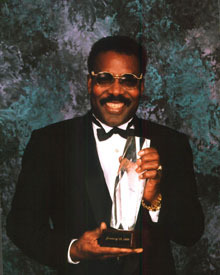 Before establishing himself as a solo artist, Pickett sang with the Falcons, who had a Top Ten R&B hit in 1962 with "I Found a Love." "If You Need Me" (covered by the Rolling Stones) and "It's Too Late" were R&B hits for the singer before he hooked up with Atlantic Records, who sent him to record at Stax in Memphis in 1965. One early result was "In the Midnight Hour," whose chugging horn line, loping funky beats, and impassioned vocals combined into a key transitional performance that brought R&B into the soul age. It was an R&B chart-topper, and a substantial pop hit (21), though its influence was stronger than that respectable position might indicate: thousands of bands, Black and White, covered "In the Midnight Hour" onstage and on record in the 1960s. Pickett had a flurry of other galvanizing soul hits over the next few years, including "634-5789," "Mustang Sally," and "Funky Broadway," all of which, like "In the Midnight Hour," were frequently adapted by other bands as a dance-ready number. The king of that hill, though, had to be "Land of 1000 Dances," Pickett's biggest pop hit (6), a soul anthem of sorts with its roll call of popular dances, and covered by almost as many acts as "Midnight Hour" was. Pickett didn't confine himself to the environs of Stax for long; soon he was also cutting tracks at Muscle Shoals. He recorded several early songs by Bobby Womack; he used Duane Allman as a session guitarist on a hit cover of the Beatles' "Hey Jude." 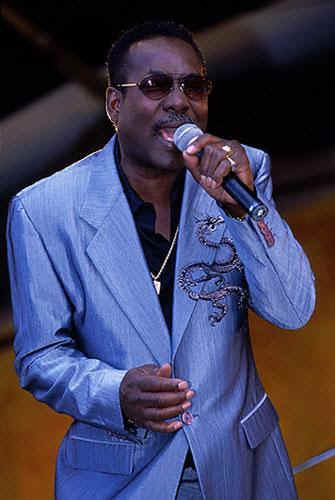 He cut some hits in Philadelphia with Gamble-Huff productions in the early '70s. 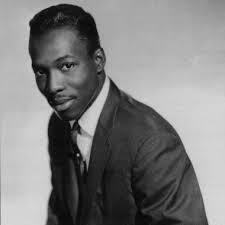 But his biggest records were cut by Rick Hall in Muscle Shoals, Alabama at FAME Studios. He even did a hit version of the Archies' "Sugar, Sugar." The hits kept rolling through the early '70s, including "Don't Knock My Love" and "Get Me Back on Time, Engine Number 9." One of the corollaries of '60s soul is that if a performer rose to fame with Motown or Atlantic, he or she would produce little of note after leaving the label. Pickett, unfortunately, did not prove an exception to the rule. His last big hit was "Fire and Water," in 1972. He continued to be active on the tour circuit; his most essential music, all from the 1960s and early '70s, was assembled for the superb Rhino double-CD anthology A Man and a Half. 1962 "If You Need Me"
1963 "I'm Down to My Last Heartbreak"
1965 "In the Midnight Hour"
1966 "Ninety Nine and a Half (Won't Do)"
1966 "Land of 1000 Dances"
1967 "Everybody Needs Somebody to Love"
1967 "I Found a Love - Pt. 1"
1968 "I'm a Midnight Mover"
1968 "I Found a True Love"
1968 "A Man and a Half"
1969 "Born to Be Wild"
1969 "You Keep Me Hangin' On"
1970 "Get Me Back On Time, Engine Number 9"
1971 "Don't Let the Green Grass Fool You"
1971 "Don't Knock My Love - Pt. 1"
1971 "Call My Name, I'll Be There"
1972 "Mama Told Me Not To Come"
1973 "Take a Closer Look at the Woman You're With"
1974 "Soft Soul Boogie Woogie"
1974 "Take Your Pleasure Where You Find It"
1975 "The Best Part of A Man"
1976 "Love Will Keep Us Together"
1978 "Who Turned You On"
1988 "Love Never Let Me Down"